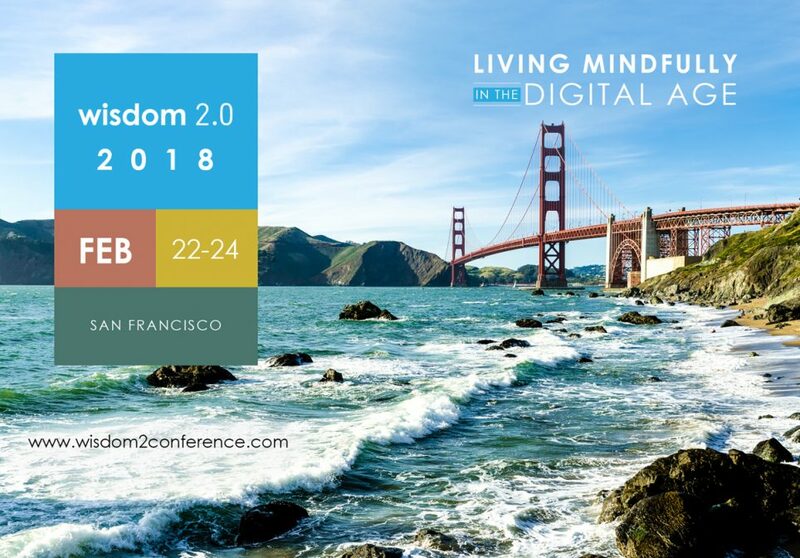 San Francisco, CA, Feb. 13, 2018 – Strozzi Institute, the original architects of Embodied Leadership training, announces that its founder Richard Strozzi-Heckler, PhD, will speak and it will sponsor the Embodiment Lounge at Wisdom 2.0 Summit. The event focuses on exploring the intersection of wisdom and technology, bringing together thousands of people from around the world to consider ways of living more mindfully and thoughtfully. Top visionaries, leaders, and authors in mindfulness, medicine, coaching, business, and social activism will be speaking, including Jon Kabat-Zinn, PhD, Dan Siegel, MD, Byron Katie, Goldie Hawn, Tarana Burke, and executives from Google and Facebook. 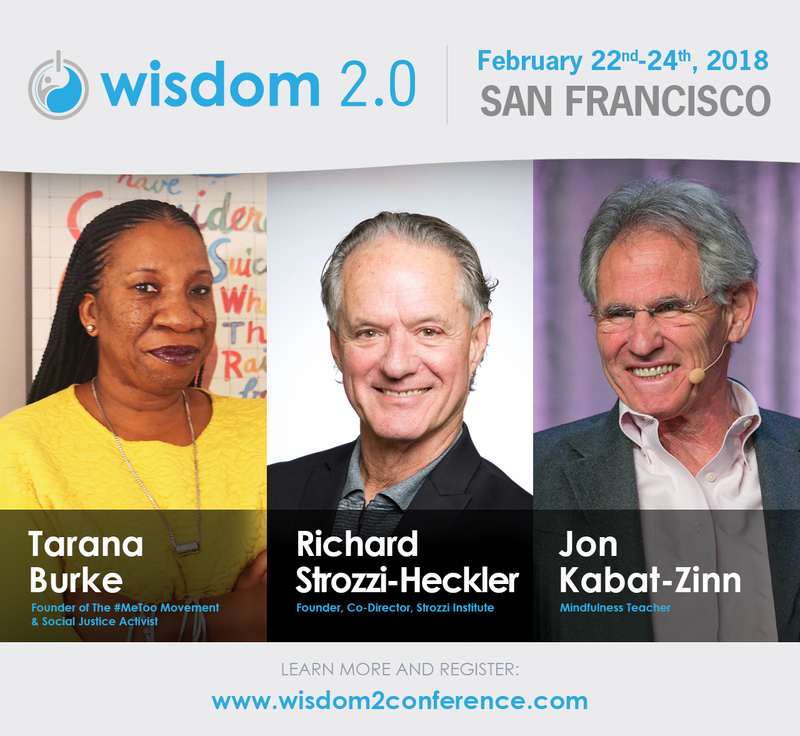 Wisdom 2.0 2018, in its ninth year, takes place February 22– 24, 2018 at the Hilton SF Union Square in San Francisco, CA. Invited speaker, Dr. Strozzi-Heckler, one of the of Top 50 Executive Coaches in The Art and Practice of Leadership Coaching and author of eight books, will highlight many of the issues we face today. He suggests that being out of touch with the feeling and sensing nature of our bodies has impacted broader national and international issues, such as pollution of the land and water, growing financial inequality, and violence. His presentation, Embodied Leadership – Now More Than Ever, will focus on how somatics has a seminal role in building a leadership culture that embodies skillful action, grounded compassion, and pragmatic wisdom. As the founder of Strozzi Institute and its method, Dr. Strozzi-Heckler has spent over forty years researching, developing, and teaching Strozzi Institute practices to executives and teams from Fortune 500 companies, NGOs, technology start-ups, non-profits and governmental agencies including Pfizer, AT&T, Twitter, 1% For the Planet, NASA and the Navy Seals. The Strozzi Institute method combines neuroscience, holistic practice, action-oriented communication and mindfulness to generate consistent, positive results for individuals and organizations. Join Dr. Strozzi-Heckler on the main stage Friday, February 23rd at 9:20 a.m., or stop by the Embodiment Lounge to experience firsthand how to create sustained behavior change, value-aligned action, and increased confidence. In addition to the experiential sessions, Strozzi Institute will be offering centering sessions, free somatic coaching sessions, and bodywork throughout Friday and Saturday. Sign-ups will be at the Strozzi Institute booth in the Village. If you will not be attending the conference and want to learn more about Strozzi Institute programs, visit https://strozziinstitute.com/embodied-leadership-trainings/. Additionally, watch the video to hear leaders share how the practices helped them move toward their purpose and commitment, changing their leadership and presence. “People experience permanent, transformational shifts as they practice the Strozzi Method,” said Ben Schick, President of Strozzi Institute. “We are honored to support Wisdom 2.0’s mission as a partner and sponsor. If you are with the media and would like to schedule an interview, please contact Linda Ferguson, PR Counsel, at Linda@strozziinstitute.com. Also, press passes are available for the event, simply complete this form. Lastly, the main stage will be livestreamed for free online, so follow Wisdom 2.0 on Facebook to be notified when the livestream is about to begin. About: Strozzi Institute, headquartered in Oakland, CA, creating and delivering innovative programs in leadership development and team building for more than 30 years, in diverse environments including Fortune 100 companies, nonprofits, start-ups, and the government sector. We have a strong commitment to our clients, and hold their visions and concerns as if they were our own. Visit us at https://strozziinstitute.com/ .